If you’re looking to create a radio/podcast website design in the future, then you have to take a look at our hand-picked selection containing 20 best radio/podcasts website designs that can also be used by any music-related business. We selected both popular radio/podcasts websites, as well as some well-coded WordPress themes, suitable for uploading your media content on and presenting your podcasts and music in a user-friendly manner, just in case you want to start a podcast yourself! These websites will inspire you to create awesome designs for music bands, radio stations, professional DJs, singers and for all other businesses and people in the music industry. Check them out on this list and let us know your favorite picks in the comment section below. KCRW creates and curates a unique mix of content centered around music discovery, cultural exploration, and informed public affairs. On their website, you can also search for music or news shows, listen to playlists, find interesting events, listen to useful podcasts, and more! If you need to create a professional WordPress music website, Vice is the theme for you. It has a ton of useful features for creating awesome music players, integrated on your site. We suggest using this theme if you’re planning on creating a website for a pop or rock band, radio station, club, musician, DJ producer etc. Vice also gives you the possibility of integrating full video backgrounds into your website. You can explore this site for information and quizzes about their popular podcasts. 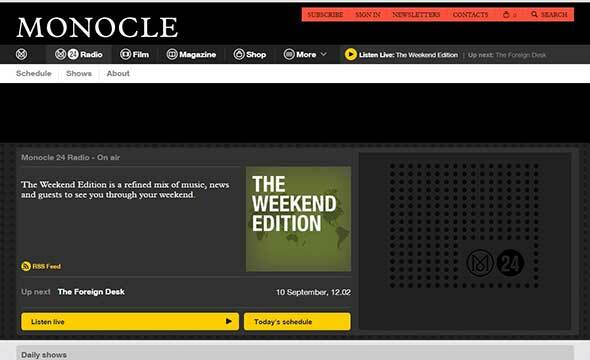 Check out the way podcasts players are integrated into the website design. As the title says, their audio shows are based on historical themes, like wars, important figures of the past, art history and many more. This theme is perfect for any entertainment related website, as it was specifically designed for entertainers, solo artists, bands, event organizers, radio stations and all kinds of performers. You won’t need any third party plugins because this theme gives you the possibility to create events, manage tracks and discographies, feature music streams etc. It’s also easy to set-up using the drag & drop feature. SoundCloud allows users to upload and share music with everyone. Even though it is primarily targeted towards musicians it can be an excellent service to host your podcasts. We don’t think SoundCloud needs any more introductions, but we’ll just add that it’s one of the best platforms to find a whole mix of music that ranges from famous artists to emerging singers, bands or podcasts. This website is the home of the best mixes by DJs, performing artists, educators, and more. You can also use it to create a free podcast and share your favorites. 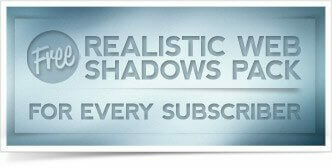 Until now, Podomatic has helped over 700.000 independent Podcasters. It’s a great website for publishing and promoting your audio work among other users or potential listeners. Monocle is a global briefing covering international affairs, business, culture and design. 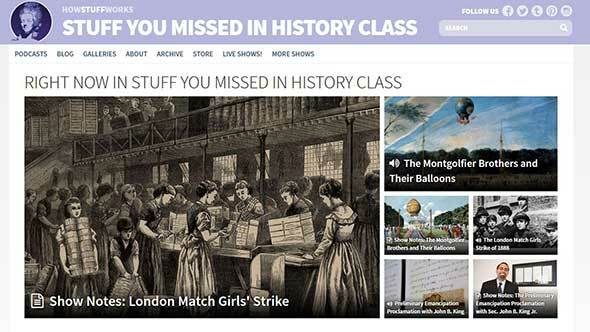 Check out the way media was integrated into this site’s design. The top buttons make it very easy to use the website’s functions, including shop, magazine and you can even listen to live podcasts and shows. SONIK is a responsive music WordPress theme for bands, DJs, radio stations, singers, clubs, and Labels. 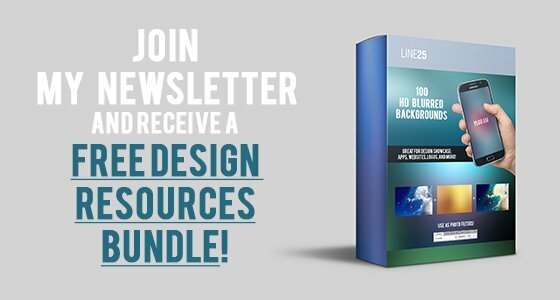 It comes with 4 ready-made demos that you can use to create and customize your own website. We also recommend SONIK for music magazines! On Being is an award-winning public radio conversation and podcast hosted by Krista Tippett. 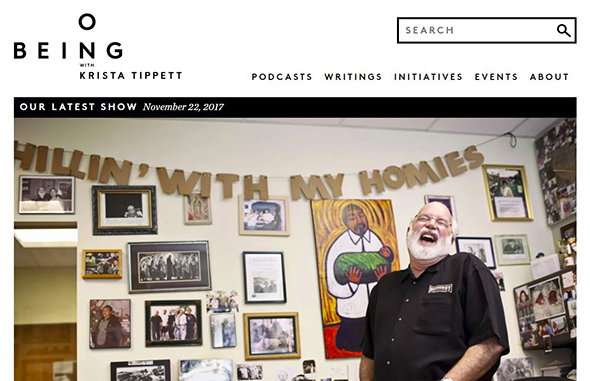 Let yourself be inspired by this website’s design and find out more about the podcasts, writings, events and initiatives that are reunited here. Their goal is to pursue wisdom, knowledge and imagination. 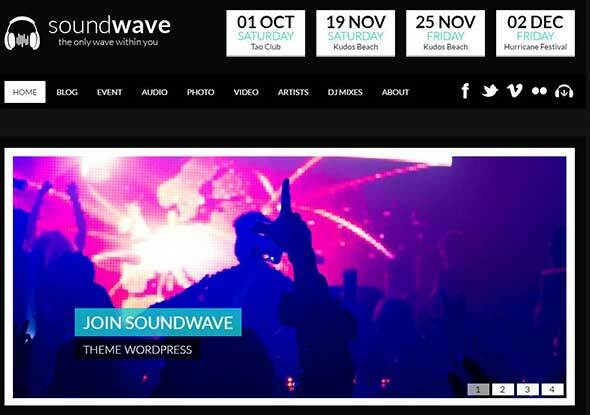 SoundWave is the place where you can enjoy music & radio while you look up for available or upcoming events, information about artists, photos, videos and Dj mixes. This WordPress theme gives users the possibility to listen to music or radio while navigating the site’s sections. You can also choose from several display modes and customize it to fit your needs. 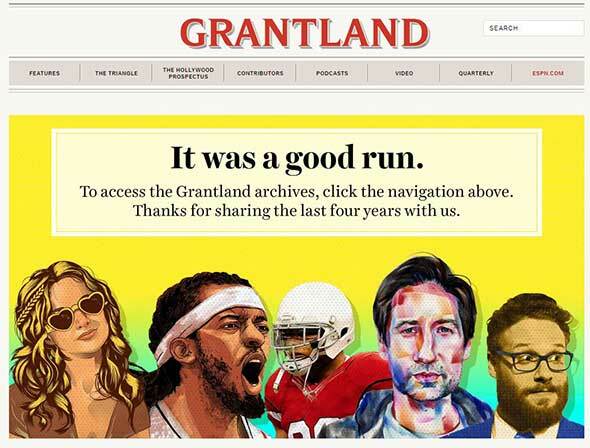 Grantland was a sports and pop-culture blog owned and operated by ESPN. It was started in 2011 by veteran writer and sports journalist Bill Simmons. Now you can just access its archives and look through a multitude of projects and podcasts on different subjects. You can also see who were the website’s contributors and read many great articles. This theme supports multiple types of music players which makes it great for media display. Kallyas is perfect to fit radio stations’ web pages and programs and you can choose between unlimited webpages. iHeartRadio lets you access the world of music and radio in one simple app. You can use it to listen to top radio stations, music, news, podcasts, sports, talks, and more. 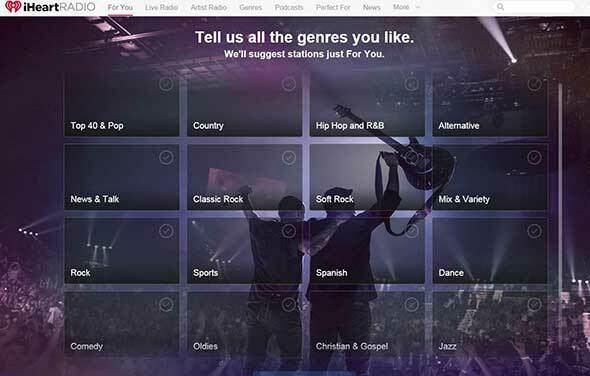 Everything you need to do to get it started is to choose your favorite music genre, and you’ll get lots of recommendations for radio stations, similar genres and podcasts. Whether you are a WordPress beginner or an expert, you will find just what you need to create a neat music website with this awesome, fully featured theme. 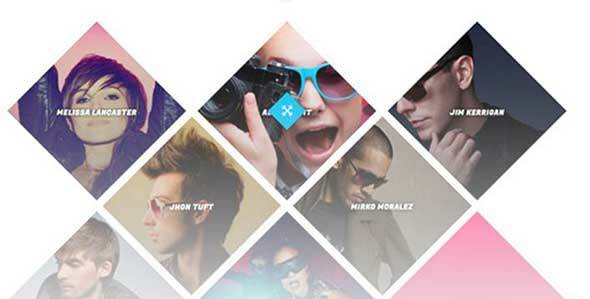 We strongly recommend this theme for DJs, singers, music bands, or any other creative from the music world. 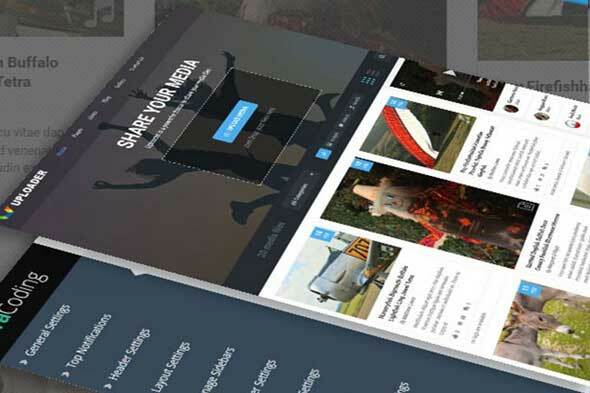 It comes with Slider Revolution and Visual Composer. 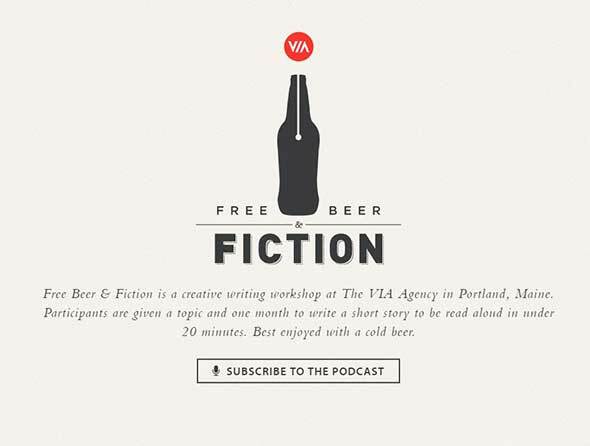 Free Beer & Fiction is a creative writing workshop at The VIA Agency in Portland, Maine. Check out the media players look, on this website. The whole website has a very clean look in order to make the user’s experience a lot smoother and to help them listen to the podcasts and audio files easier. 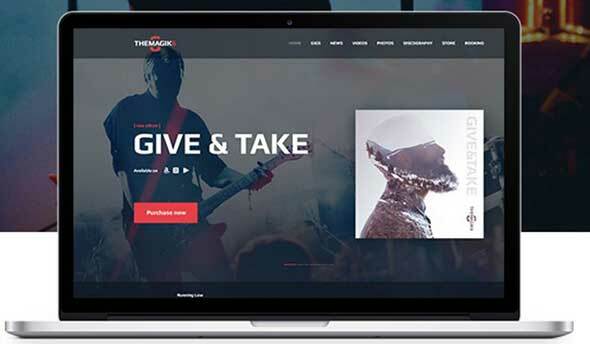 TheMagic6 is a WordPress theme with a functional, modern design best suitable for music bands, DJ’s, singers, artists, radio, events and entertainment websites. It lets you choose between 2 homepage layouts and you can showcase all the information you need including discography, photo and video galleries, events and more! 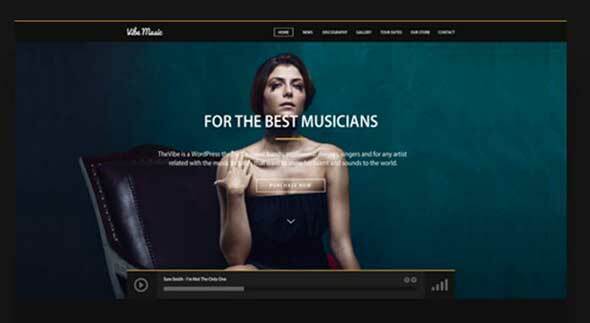 Musik is a responsive music WordPress theme that lets you manage audio, album, genres, artist and sell the audio files to your customers. You can pick between 4 page templates and this theme also lets you very easily customize your header, logo and background colors. MusicPlay is a powerful and responsive music band & DJ WordPress theme with features such as display Artists, Albums, DJ Mixes, Photo Gallery, Video Gallery, and Events. We strongly recommend it for achieving a fully-responsive website that reflects your own style. It also has advanced header options and a full-width audio player for your podcasts. Replay is a perfect theme for musicians, bands, record labels and any music business. It is easy to use and customize and comes packed with powerful tools for sharing and selling music. This theme has great social media options and a built-in HTML5 audio player that plays self-hosted mp3 files that could work great for podcasting. This theme has built-in HTML5 audio player that plays self-hosted mp3 files. You can use it to host your podcasts or music creations and share them with the world. This theme also has a great option which lets you create custom player skins so you’ll make sure your radio or podcast has the perfect look.